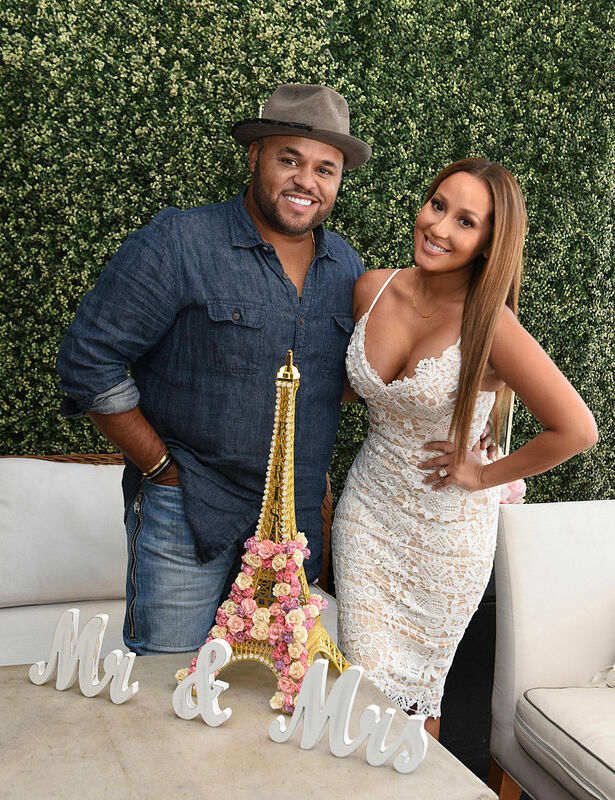 Adrienne Bailon is going to be married to Israel Houghton before the year runs out, and she says she knows everything about her fiancé, so she wishes blogs would stop spreading ‘lies’ and ‘half-truths’. At Hot 97 this month she also confirmed she will change her last name after marriage. She is as stupid as Ciara! This was how Ciara was busy defending Future, now she is fighting Future and passing herself off as a saint. The court will be their home until they get over whatever went wrong. Is he the only man available??? Everytime I think of this woman I think of that proverb because she really doesnt know whats going to hit her. Even his wife of 20 years couldnt handlle him and you think you can. You can never know anything about anyman. Even I dont know everything about my self. The fact that she has made everything public as well. Lord help her. I really pray it works out for her I really do. Everyone is entitled to their mistakes, let her be,let her make her own mistake (if it’s a mistake) and learn from it. Everyone should let them be. Do you marry true love or marry the one that hangs around long enough. I think this geh did the former. It’s sad already; I don’t see 10 years for this couple cue Khloe n Lamar, future n ciara, the dream n Christiana, Katie Perry n Russell brand etc. All these constant defense from her, the dude doesn’t even talk. Someone should advise her,it’s still not late. I don’t know how she can rationalize this guy. Yes, nobody is perfect, but their whole story feels so stiff and unflattering. For her sake and the sake of all the instagram quotes she puts under their pictures, I hope this marriage works out. Who wrote this title? Have you ever heard of punctuation marks? Please, use them next time. blogs are not hounding him…. they are exposing him… the actions he wanted to hide so he could protect his reputation and continue making money as a christian musician have now been brought to light…. I mean topics like this don’t really interest me. E no concern me like that. But Adrienne obviously lives in a bubble and in the moment. The same way she can easily fall in ‘love’ is the same way she will easily divorce. 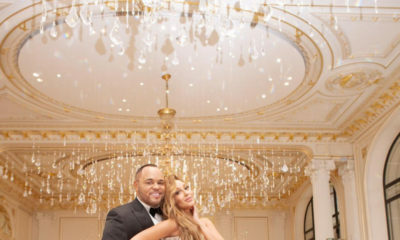 Adrienne Bailon & Israel Houghton relive their Wedding Day (& Night) on “The Real” – Watch!